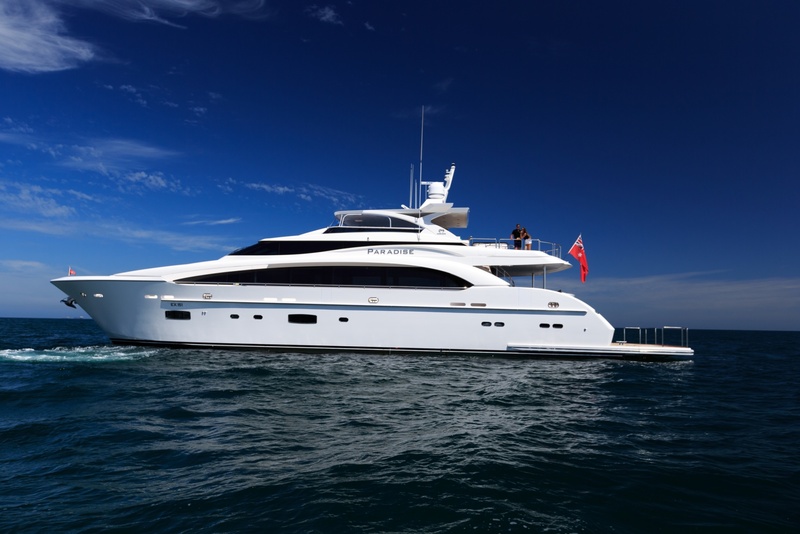 Luxury motor yacht Paradise is a beautiful Horizon RP110 vessel, launched by the Taiwan-based manufacturer Horizon Yachts in 2014. 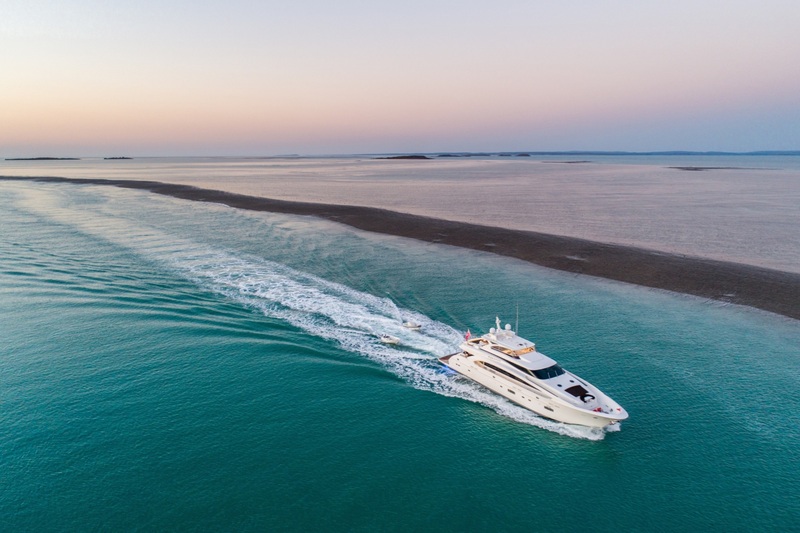 Third Horizon RP110 superyacht Paradise features naval architecture by Don Blount and the yard’s in-house team. She has been beautifully designed by J.C. Espinosa. Her open plan salon and dining is contemporary and stylish, with a blend of neutral fabrics, rich wood finishes and pale paneling. 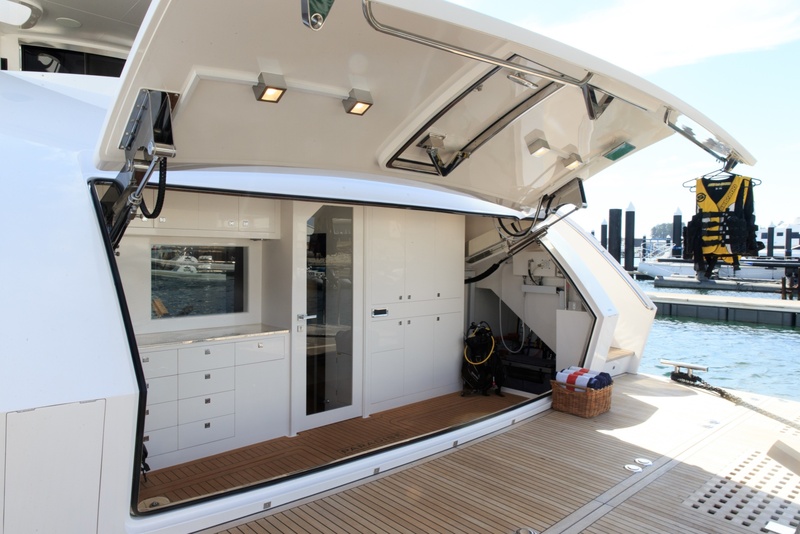 Elongated side windows ensure great natural light and provide stunning views. 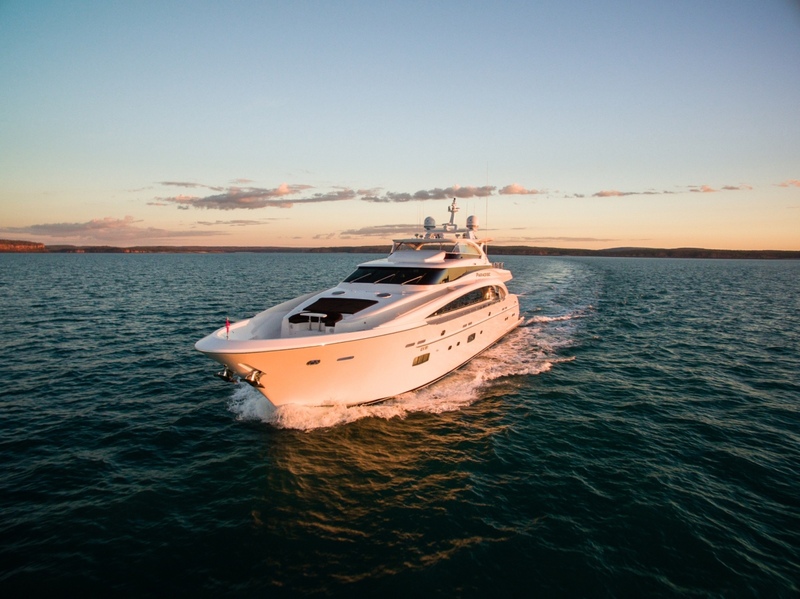 Horizon RP110 superyacht Paradise provides up to 10 guests with lovely and comfortable accommodation in 5 staterooms, including an on-deck master cabin and four guest staterooms below deck: two mirrored VIP staterooms midship and two twin guest staterooms forward. 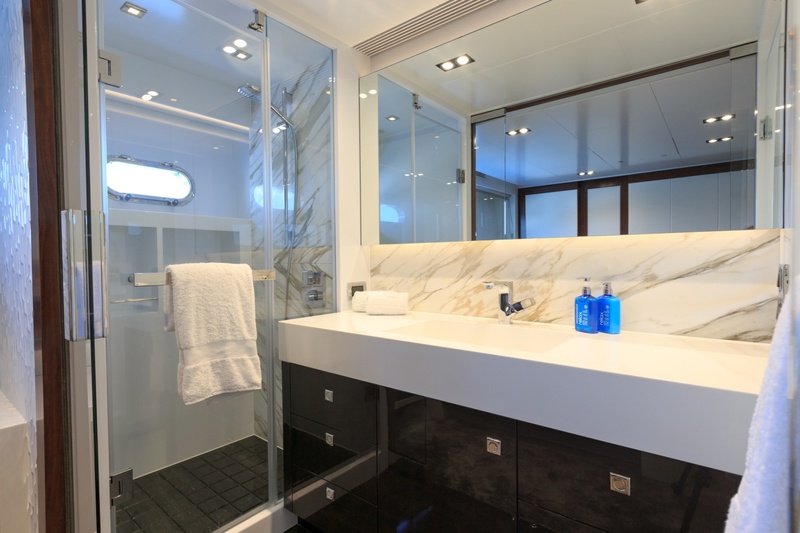 Crew quarters are completely aft on the lower deck and can sleep up to 6 crew members. 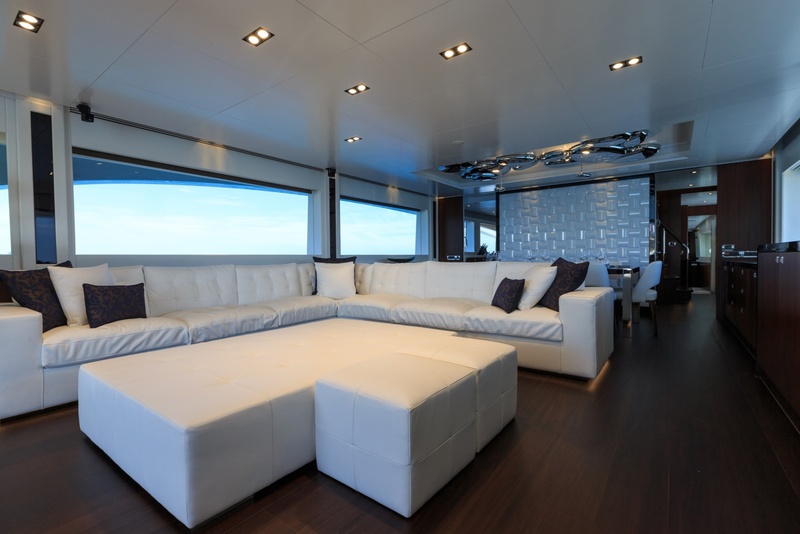 The main deck offers a generous main saloon with a large L-shaped sofa and love seat. 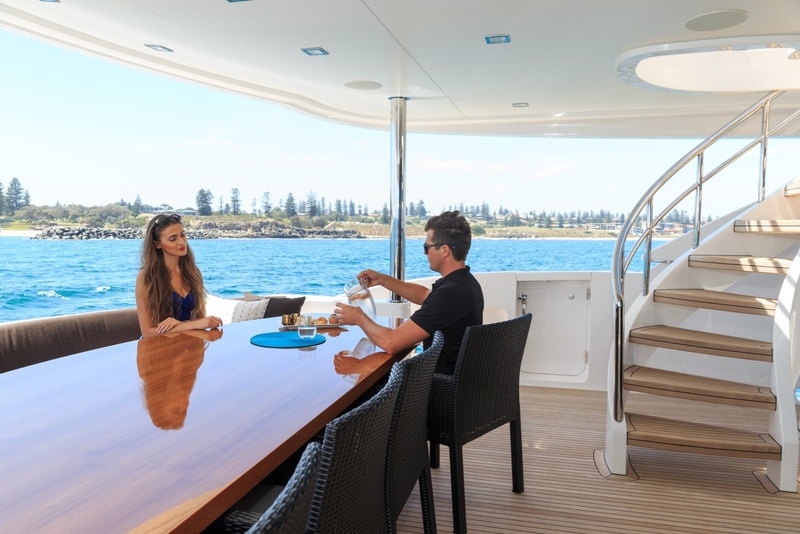 In addition, there is an adjacent formal dining area, which can accommodate eight to ten guests, as well as a fully equipped galley mid-ship and to port. 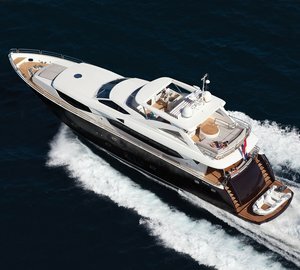 Built in composite, Horizon RP110 luxury yacht Paradise can achieve a top speed of 21 knots and a cruising speed of 10 knots, thanks to her twin Caterpillar C32 Acert diesel engines. 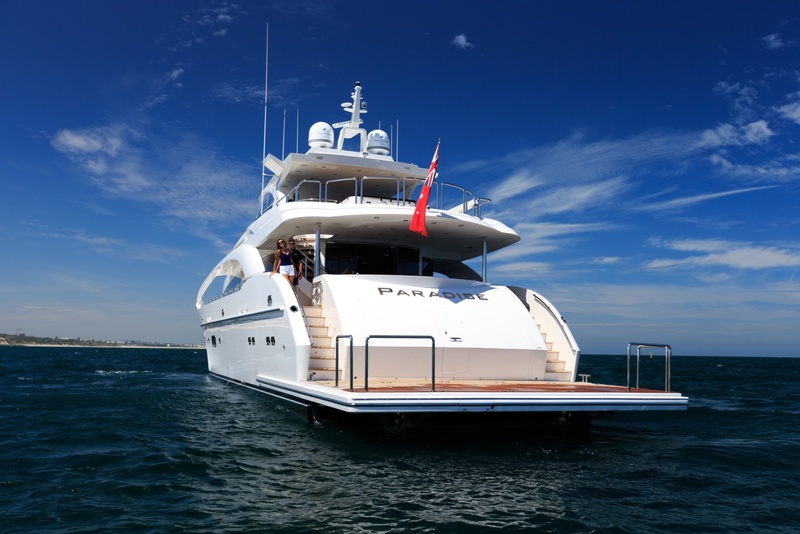 Accommodation aboard Paradise yacht is offered to up to 10 guests in 5 magnificent cabins. 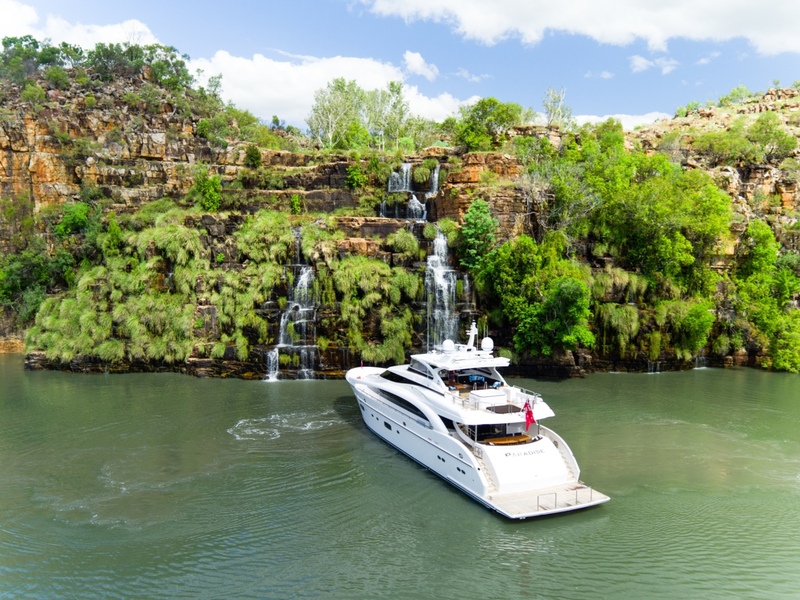 These include an on-deck master cabin and four guest staterooms below deck: two mirrored VIP staterooms midship and two twin guest staterooms forward. 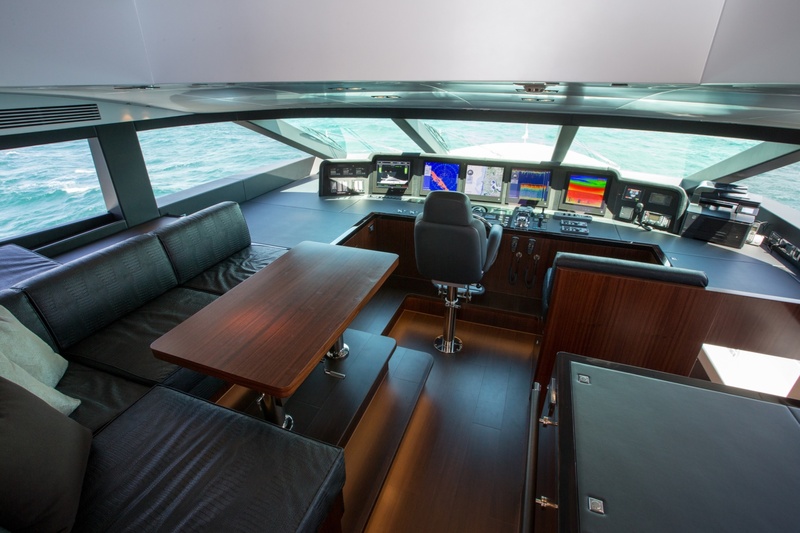 There is also space for a highly trained crew of 6 professionals. 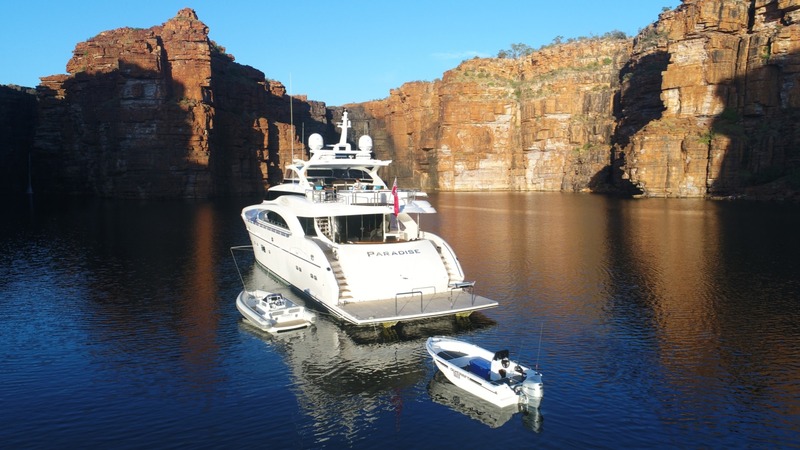 We do have available further amenity, owner and price information for the 35.00m (115') yacht PARADISE, so please enquire for more information.